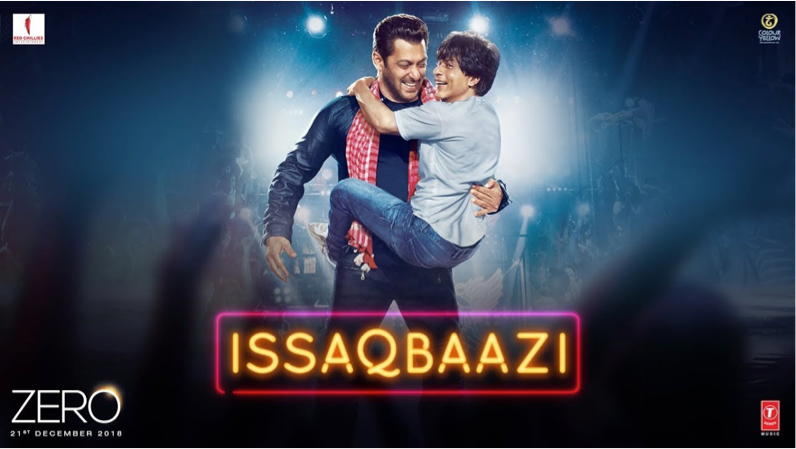 The oh so anticipated song, Issaqbaazi from ZERO featuring Bauua Singh (aka Shah Rukh Khan) and Salman Khan is finally here. Fans around the world have been eager to witness these two superstars come together and they certainly are not disappointed! In fact, they are all in a bolly-tizzy because the song and video are brilliant! The song has already hit over 9 million views, yes 9 million and counting and it just released today! Right from the first frame, the song sets the mood and makes the audience let loose and want to hit the dance floor. The camaraderie of the two legendary stars is so infectious that the viewers feel the love too! The dance number composed by Ajay-Atul and penned by Irshad Kamil, is sung by famous singers Sukhwinder Singh and Divya Kumar. ZERO presents the story of Bauua, a vertically challenged man essayed by Shah Rukh Khan. Produced by Gauri Khan, Red Chillies Entertainment and Colour Yellow Productions come together to bring the Aanand L Rai directorial ZERO also starring Katrina Kaif and Anushka Sharma in cinemas on 21st December 2018. 16 queries in 1.029 seconds.